St. Patrick’s Day is just around the corner and we’ve got your back. Literally! Get a teacher shirt that’ll keep you from getting pinched on St. Patrick’s Day and make remembering to wear green on March 17th easy. This is our most popular design for Paddy’s Day and can also be worn more than just one day a year. 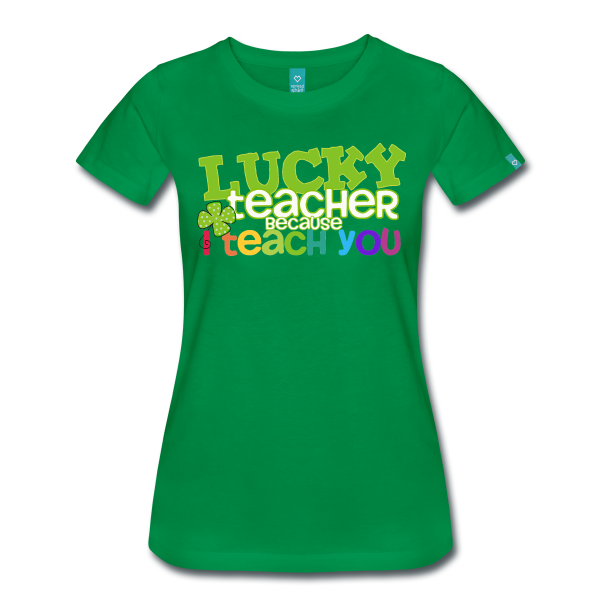 This digital print design says, “Lucky Teacher Because I Teach You.” Cute teacher shirt with modern design and super colorful!